What? No more lifetime points or leaderboards?. In anticipation of the October 10 launch of the new community, on October 7, at 2 .p.m CET, 8 a.m. Eastern and 5 a.m. Pacific time (12:00 noon UTC), we will implement a content and engagement freeze on SCN. It will no longer be possible to post blogs, ask or answer questions, like or rate anything. We now have enough time and experience under our belts to know that a point system that combines points for activities with points for positive feedback is not a reliable system for consistently or accurately gauging whether a member is a high-quality contributor. We (and gamification experts in the industry in general) have also learned that levels, leaderboards, and topic leader contests, all based on points for activity, can cause a competitive environment where members try to cheat the system to gain recognition and standing. So we are ready to retire this point-focused reputation system in our community and take things to the next level with a new way to emphasize quality. When we launch the new community on October 10, we will begin introducing elements of our new reputation system, and everybody will start new in that system. We will roll out elements over time as they are developed and implemented. One of the first things we are rolling out is in our Q&A system. We are using the embedded karma credits system in Q&A. While it is a form of point system, yes, we are de-emphasizing its importance as a reputation element by making your karma credit total visible only to you and moderators. No other members can see your karma total. Also, karma credits are restricted to the Q&A system; they cannot be earned in any other parts of the new community such as blogs or wiki. In the very beginning, you will see your karma total as it accumulates, but you will not be able to see a breakdown of how it reached the current total. We will be rolling out the breakdown view for members as soon as we can, post-launch. Until that time, moderators will have access to the breakdown if there are any questions. Approximately a month after launch, we plan to roll out a new set of missions and badges. These missions will encourage positive behavior in the community (such as posting high-quality content), and earning a mission will earn you a badge. We have a new badge design that reflects difficulty level, something we will share more about when we roll out the missions. The most exciting elements of our new reputation system that we are looking forward to rolling out over time are the reputation score and the expertise score, as well as the expert showcase. Learn more about these planned elements in Caroleigh’s blog. You can also watch a recording where we described these planned elements in more detail. Curious as to what anti-gaming precautions have been put into place this time. If anything “accumulates”, it is just as subject to gaming as anything else. The fact that only the user and mods can see their “karma” does not mean someone will not still try to game it. Nothing stops them from having a mass of people (like in their own company) or bots to “up vote” them which can also easily dilute any “down votes” that possibly happen (“up” and “down” votes used as example only as I have no idea how the final system will work). I can easily see people posting/boasting screenshots of the “look at me! I am the first in the world to earn 1 million karma points!!! !”….this type of thing happens on other community sites too (especially actual game sites)…..so yes, I can see abuses ahead of time, so hopeful that the SCN team has planned accordingly. Julius von dem Bussche day! As with any system, there will always be those who try to game it, and those who try to respect it, and there will always be ever-changing mechanisms to attempt to counter the gaming (or cheating, more accurately — since this is “gamification” theory, we shouldn’t associate “gaming” with a negative activity, eh?). So Chris, yes, folks will attempt to figure out how the points are awarded and then “cheat” the system, and Audrey and Caroleigh and Oliver and all the rest of the crew will continue to come up with new ways to thwart the cheating. That’s normal and natural, and anything else would be an admission of defeat. If you look at the comments now, you would see questions of the type: How can I see the history of Karma credits? Despite the fact that this history is not significant any more under new regulations. Audrey, in her blog, has used the term ‘competitive environment’, speaking of it as a disadvantage. I find, though, that healthy competition can be only positive. Good points, Eli! I suppose it may be different in different spaces for different moderators, as some of them seemed to think it was still going on. I’m not a moderator, so I wouldn’t know for sure about the volume of activity in any particular space that might be classified as “cheating.” I could, however, anecdotally see threads in which nonsense, or at least non-value-adding, answers proliferated, many of them repetitive. Personally, I had no problem with the points and levels. In fact, I rather liked it. Others had a very strong negative reaction to it. For me, it was fun, and gave me targets to strive for, but as it didn’t have any actual career impact for me, it was just that — fun, and perhaps a bit of a motivator to write better blogs. When I saw others rack up far more points in a space where I participated, without actually contributing that much value, this was mildly annoying, but I didn’t carry that with me any further. I don’t recall any particular measures. I believe, it was just the maturity of the community and the effort of the moderators, who eliminated recidivists from their forums, who were responsible for 90% of cheating cases. I’m not a vowed supporter of the points system, which was applied before, but I do think that with the new approach, the content of SCN will change drastically. Some people would find this positive, others (and me amongst them) – won’t. I guess, we should expect less ‘concrete problem -> answer’ threads and more PR, promotion posts, experience sharing from a particular SAP event, etc. I believe, that was well-calculated and planned decision of SCN steering committee. Well, SAP users and partners should respect their decision. Gamification brings out the kid in ourselves. And it’s seldom good in a business environment. Thank you for bringing back the business in here !! I welcome this move and look forward to the new Community! (1) While uploading catalogues files into MDM do we manually link contracts or not? (2) What kind of Interface application we need to use to bring data into Web Portal. (3)As in the current project we are working for client who wants to create E-Procurement same as AMAZON. 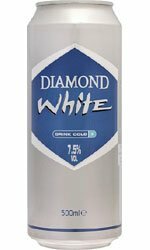 Diamond cufflinks or a can of Diamond White cider? Moderators will, as ever, if we spot signs of cheating take action. A meeeeeelion minus karma points to cheaters! While it is a form of point system, yes, we are de-emphasizing its importance as a reputation element by making your karma credit total visible only to you and moderators. No other members can see your karma total. I think, I am able to see other people’s karma points in BETA and I am not a moderator. This functionality still needs a lot of work. And I didn’t even mean the possible ways to extract this data en mass without the users sharing this information or providing user/password to somebody else. I’m curious to find out how this will work out once the new community is available. I wonder how this quality content will be recognized exactly. Unfortunately, in the current community, I’ve seen traces of community members putting content out there with copyright issues and still get featured or become member of the month for example. Copy pasting SAP documentation isn’t exactly what I would call quality content.Just saying that I don’t always necessarily agree that certain featured content is actually of quality. That doesn’t really resonate that well for me, personally. To me it’s a sign that the persons in charge of these initiatives don’t necessarily know which content is of high quality or which community members should be featured and honored which then makes me wonder how we’ll identify quality content in the first place. If it’s based on what we have today, upvoting, reading through a blog post but not knowing the exact details and judging it based on views, likes, the comments of a couple of my friends who say I’m awesome and my blog rocks then I doubt we’ll see much of a difference. I hope I’m wrong though. What is considered quality content can differ from person to person so what would make sense to me is to allow the end-user to “define” what quality content is for them. I haven’t seen much trace of that so far but I hope it’s possible or will become possible in the future. As long as this isn’t there and I don’t see a clear line in terms of quality content being featured, I’ll ignore it altogether and try to figure out how to get to the quality content. If anything, I’m eagerly awaiting the changes coming and hoping it will bring a positive change and vibe into the community. Community !! I’m curious about that. How many people see SCN as a “community” or as “just a tool” ? PErsonnaly, I don’t have much time to be part of this community. It’s mostly a tool. Not really. I use SCN as a tool to get solutions to my BW problems. First OSS, then SCN and finally Google. My organisation is not an “early adopter” so I find a lot of answers to my questions in here. And you can find answers here because someone believes SCN is a community where to help each other. If everyone just “look for an answer” but none create those answers, your searchs fail. I know that. That brings the second part of my questioning : who answers these questions ? Who has time to come in here to answer questions ? Consultants that are on the bench ? SAP employees ? I don’t believe many people have in their job description a task to answer questions on SCN. Who has time? Well, I presume you’re not chained to your BW desk 24 hours a day! You may prefer to use your free time to do something else. Some of us are quite happy to spend half an hour looking at interesting questions. And you did find time to comment on this blog. Answering a question doesn’t really take much more effort! Guy, I’m neither an SAP employee nor a consultant on the bench. I’m a customer, and I find time (from time to time) to answer questions, as well as searching for answers to my own questions. Granted, my level of involvement goes up and down based upon how busy I am at work, but I usually at least peruse on a daily basis. You’re right, my job description does not include answering questions on SCN, and my employer is not paying me to do this. If this was all I did all day, I’d probably fairly quickly have a problem. But, I take a moment here and there, or at lunch, or while sipping that second coffee of the day (the first is usually while in discussion with my boss about what the day will hold), and it seems to work out. Some folks spend a large part of their evenings and weekends here, and I admit I don’t do that, at least not frequently (sometimes, when working on a blog post, though). But you aren’t alone. As Jeremy pointed out, likely the majority of SCN users are “browsers” who never post, and as Matthew and Jelena pointed out, you’ve already gone beyond that. 🙂 And, who doesn’t love Jason’s famous Stone Soup story? So, welcome to a wider world! Let me share the finest example (IMHO) of the value of this community, which coincidentally happened just today. Lo on behold, I received an email at the end of my work day which was 3-4 pages long detailing all the specific challenges with the requirement and how each was addressed, what the official response from SAP was, links to the blogs that the member has published regarding certain aspects of the challenges and even included a slide deck on the work done! It probably would have taken at least 30 minutes to compose that comprehensive reply. And from my end, I had just expected a “ya, this was exactly what we talked about previously” to confirm if it was a same requirement or not. This is not something that you can get searching on OSS, SCN or Google. This is not something you can get by posting a discussion thread asking for answers. And this wouldn’t have happened if both of us were not participating in SCN and saw it as just a tool rather than a community. Guy Lamoureux I think your ‘community’ network interaction is not that uncommon, and I would offer that ‘asset’ or ‘knowledge repository’ might be better ways to describe SCN than ‘Tool’. I think that true community and collaboration kicks in, when all visitors to the site take the opportunity to freely share their knowledge and experiences. There have been pay it forward blogger campaigns, and when all members of SCN (Customer, Partner, SAP employee) focus on the solution, product, or technology and support each others’ needs, then we achieve “Community”. You are already contributing by searching instead of asking the same thing over and over like some people do. 🙂 IMHO it’s perfectly fine to use SCN as a tool. It’s much better than using it as a personal concierge and demanding that the SCN members do your job. Good question, Guy! I see the platform (whether Jive or the new SAP Community platform) as the tool. It’s the participation by real people like you and me (whether posting a blog, asking or answering questions, adding comments, or liking content) that make this a community. Statistically, 5% produces most of the content while 95% consumes that content. That’s a given in most communities but I definitely see SCN as a community where strong connections can be forged, where you can step up and thrive, transform yourself from a business and personal perspective. A community can be very powerful so I would definitely not call SCN a tool 🙂 . You might see it as such and utilize it as such mostly but then you’re missing out. Perhaps a good book (good read) could convince you otherwise, “the power of pull” describes how powerful communities like these (SAP Community Network is mentioned and featured in there even) can be and how it can raise the bar for members of the community and make them thrive. What is considered quality content can differ from person to person so what would make sense to me is to allow the end-user to “define” what quality content is for them. As long as a person is an actual SAP professional, I believe it does not really differ that much. True, we might have had some disagreements even among the esteemed SCN members on how many references to the dust bins are appropriate in the event blogs. 🙂 But on a high level I think we are all very much in agreement what the criteria of quality content is (or rather what definitely is not quality content). The problem with letting an individual decide is that what may be great for one individual is not so great for the whole community. E.g. someone answered your basic question and now you are happy. But this just contributed to a pile of 1001 same questions and answers that consumes space on a server and pollutes search results for everyone. Of course, community is nothing but a group of individuals, so obviously community succeeds when majority of its members can put the community needs above their own selfish interests. How to achieve that? Well, the communists already failed miserably in that arena, so I really don’t have an answer. At this point we can only tie ourselves to the mast and see how SCN 3.0 works out. I agree on the fact that if you would ask a large group of active community members what is quality content that they could come to a consensus. One of my points that I wanted to make is that this isn’t neccesarily what is happening, persons from SAP who manage a space (not sure what their position or role is exactly) can feature content for example. That’s a single person deciding on what is quality content in essence or at least that’s what is looks like from my perspective, maybe I’m wrong there and they discuss in group or something, I wouldn’t be able to tell but I doubt it nevertheless.They might check the number of views etc but this could be tricky still. I regularly stumble upon what I believe are real gems that don’t get featured, don’t yet have tons of likes. In the same fashion I stumble on blog posts that massive amounts of views but still I don’t necessarily find this valuable content. So looking at the community at large, it’s more complex than that I believe. I believe it differs greatly depending on what a community member is looking, where his or her focus lies and many other factors such as what demographical area they reside in (the popularity of SAP certification & career advise in India for example is far above that of europe for example). Another thing could be the level they are on, beginners will be looking for other content then seasoned professionals. So I believe it is very complex and hard to get the right content exposed to the right people, at the right moment. That’s why for me it would make sense to provide options to community members so they can get personalization options to help them find quality content. I’m looking forward to SCN 3.0 and what effects it will have and I’m willing to provide feedback and try and help to push the needle to improve it further 😉 . @Tom – OK, I understand now. Promoting the content that deserves recognition has also been an issue on SCN. I believe it’s supposed to be done by the space editors (will they now be “tag editors”?) but it seems there has been mixed success. I’m a huge Tarte Tatin fan! Fresh salsa, baked teriyaki salmon crusted with crushed black walnuts, blueberry lemon scones, and vegan garlic mashed potatoes. Salsa is made from home-grown organic tomatoes, onions, cilantro, basil, and peppers. Potatoes are organic and from my own garden. Matters become less complicated (defining what is high quality content), if you apply the term professional in the scheme of things. Professional, the way I see it, has very little to do with the level of expertise in an area – it is more related to “be responsible, give your best to accomplish a goal, especially if it means to push your own boundaries and step out of your comfort zone”. If you feel comfortable following a step-by-step guide with screenshots, with little understanding what you are doing and why – is this responsible? Is it professional to up-vote/promote/deliver such content? Is it responsible, is it even humane, to encourage somebody to pursue a career in SAP, if you see that the person lacks the problem solving/critical thinking skills, which are a must for the job, and shows no interest in the area (besides getting paid)? This only sparks a new wave of clueless consultants (consultant as a broad job description), who feel entitled to get their job done for free. And no, a ‘thank you‘ does not make things right, no matter how flattered one might feel, because you made the job of others harder, because somebody else will have to clean the mess, which a spoon-fed person will inevitably make. If you are a professional and care about the community, or about the consulting profession, or at least about your own little self – abolish spoon-feeding and spec-dumping! Instead of providing a ready-to use answer – challenge the OP, make him think, help him find the solution on his own by asking leading questions or pointing out a possible complication if he is considering what you see as a bad design or an unreasonable business request. SCN ROE will most likely need some minor changes (related to the new platform specifics). This is the perfect opportunity – when you give everyone a fresh start in our new home, to state clearly that spec-dumping and expecting to be spoon-fed is unprofessional, therefore – not tolerated. I completely understand that for many SCN is merely a knowledge repository – it is a repository, among all other things. And it is a personal decision whether one wishes it to become something more than that and joins efforts with others to make this a reality. I am still skeptical that gamification can be a genuine driver for high quality content or induce a significant personal growth – in my view, this comes as an intrinsic motivation to learn and share selflessly with other professionals, what you have learned. We’ll soon see how the new gamification concept will turn out – I will be more than happy if I am proved wrong and SCN becomes the true collaboration platform, which some envision. And just because I am unconvinced that gamification will help to achieve this goal, this doesn’t mean, that I have given up on SCN yet. I have been back and forth on Gamification and more specifically the points accrued. Back when I was an independent contractor, my potential customers could look to see if my SCN interaction indicated knowledge in my field. So I worked really hard to get my “street cred” up (arbitrarily set 10 500 points at the time). Not sure it made a difference since most of my clients were repeats and already knew my skill level. But I was looking towards the future as well. When I came to SAP 8+ years ago, my first (and second) Performance Review Goals included a specific number of SCN points accrued. Cha-ching, had to get another 500 points by the end of the year (rather easily achieved about 1000 mostly from Discussions). At that point, I became “addicted” to SCN (actually SDN at the time) and enjoyed most aspects of it while I learned how to be a Moderator. The nicest part about that is that for a metric, it is easily measured. You either made it or you didn’t. The really, really, and I mean it, really, bad part about the points being used in such a way is the garbage put out by people when they get to November or December and start to panic about not achieving their targets. Even my last review had comments to the effect that I needed to show my participation in SCN (without specific points mentioned). But you could really tell the end was near (EOY) as the points games picked up in frequency and the quality of Blogs, Documents and Discussions dropped appreciably. Getting rid of the points for likes on Replies helped quite a bit in reducing the volume of noise. While I started tracking my points when a relative newbie and as it affected my review, once you get to a certain level, you pay more attention to who liked your posts than to who “pointed” you. Right now I am accumulating points rather rapidly as I recreated Docs as Wikis and fix links. Bleah! And definitely not motivating me to get them fixed. Getting them fixed for the members is the driver. I’m glad that you haven’t given up on SCN yet, because if you do, you will be sorely missed. It is someone like you who provides thought-provoking feedback that helps me view and review my own actions in that light – and that is a good thing. On my part, I do produce step by step guides occasionally, and my intention for doing so is in hopes that it might be useful to someone in the community, and also as a reference for myself in the future (I have an absent-minded tendency to not remember the exact details of everything I’ve done). In light of your comments, it reminds me to make sure that my contributions do not just blindly lead someone from point A to point B, but to “teach them to fish” instead. I must ashamedly admit too that at the height of my addiction to SCN (leaderboards, Topic Leader contest), I too succumbed to spoon-feeding on discussion threads in hope for quick points. Thanks again for providing food for thought, know that it is very much appreciated. Step-by-step guides are not ‘evil’ by themselves – I do keep screenshot sequences for setups, where the navigation or configuration is not straight-forward or where you need to apply certain tricks/hacks to get it working. The thing is, that I usually (hopefully) know what I am doing and why, while this might not be true for a larger audience. I have no intention to belittle anybody’s effort to create these guides or disregard them as useless – only to stress the importance of thinking who will read your content and how it will be used. Recently, I encountered this case: an OP followed an old discussion, suggesting a solution, where no one asked the important question ‘why’ or pointed out the potential issues of performing certain activities in a live system. He was not able to follow the steps completely and opened a new discussion. In the new thread, forum members jumped in with additional suggestions and still nobody asked why the OP needs to implement these changes. Instead, people focused on helping to bypass a common error (easy points), while it would have been more beneficial for the OP to get help for the actual issue he was trying to solve. And I had a look at your guides – they are really cool (speaking from my position of a complete layman in the area). However, I would think twice, before blindly following them (not because I don’t trust you, but each system can be unique). I had one case in the past (as a complete beginner), where I followed official recommendations in a sandbox, and it didn’t go well (I did not consider the effects of some custom developments), so I learned to be careful. But others might not have had a similar bad experience as me, and in some situations, following a guide without understanding the functionality behind, could lead to painful lessons learnt. nobody asked why the OP needs to implement these changes. Instead, people focused on helping to bypass a common error (easy points), while it would have been more beneficial for the OP to get help for the actual issue he was trying to solve. On many occasions I’ve asked “why”. Far too often the poster doesn’t answer. All they’re interested in is bypassing the error. Just a quick note that I’m not absent in this discussion in the comments; just absorbing the feedback and input. One thing I do want to point out is that we did not design the new reputation program inside the bubble of our SCN team. We worked on it together with a Reputation Advisory Group, a group of six esteemed community members and moderators. It has been in very many ways a joint effort over more than a year of bi-weekly meetings. So we’ve definitely considered a lot of angles and had a lot of similar discussions to what you are bringing up in the comments here. In the end, of course, a reputation system that relies on automated aspects (gamification, etc.) can only do so much to evaluate the community actions and content of a member and figure out what sort of standing that members has/should have reflected in their profile. Within those limitations, I hope (and the group hopes) that we have brought the community reputation system to the next level (once all of the elements have been rolled out over time). I.e. not perfect, but a level better than so the “soon to be old” reputation program on SCN. I suspect the gamification aspects of SCN are meant to encourage participation for those who otherwise might be less interactive in the community (whole community). A good thing if we gain members who are involved. Since I benefited from the gamification and points system which did indeed encourage me early on, I am a supportive of the efforts. But while I am supportive, it does not mean I really understand how to motivate relative new members to be involved. As a Moderator, I encourage new members, okay newbies, to work within the constraints of the system and its rules. Not sure if most are motivated by the badges, points or other means of recognition. I am also not entirely sure motivating new members via points, badges or other means of recognition adds value to our community. I measure value by those who find solutions or provide solutions and recognize the same. Points can provide some of that recognition as well as certain badges. But in the past, I have wondered about some of the awards. Does attending TechEd really deserve the rather generous awards awarded in the past? While many members do meet up there, I am not convinced that it has any bearing on the value and contributions of members to SCN. Reputation is important towards respect which can be earned, but the points and the leader board standing don’t always indicate the value of the contributions to the community. Leader board position is often a result of posting a whole lot of Documents and Blogs without providing any solutions to those who come looking for solutions in Discussions. This is not a criticism so much as random thoughts on the subject. I do respect the opinions of others who are actively involved in SCN and pay much more attention to those who like my responses when I know them (and respect them). Sorry for the long rambling diatribe. Hope some part of what I meant to convey is understood. I agree somehow with Veselina, but not at all. Step-by-step guide are need evil (if i could translate well): if someone who is not an expert on a certain area need to (as you said) step out his comfort zone, they are as sure good point to start without flooding the SCN with silly questions. I used many of them when I started with UI5, when my boss asked me some opinions about this or that customizing thing on SD or PP or MM, question I always faced from the tech side and that I could not answer without some hints and a lot of tries. They are just tool and if someone is willing to learn and improve, they are great. Fact. The problem with people that just wants to get spoon fed is on how they are trained and how they are valuated in day by day task by their bosses. It’s shocking that some companies, as Jeremy explained, requires a certain amount of points earned each year. As well that recruiters ask for your SCN profile in your resumee (true story, ladies and gents!). I got for years 6-10 people to manage and all of them relied on SCN but, maybe because they are aware I’m pretty active here, they never tried to get spoon fed here. The approach I required has always been: try, google, try again, ask. You mess a sandbox? It’s my fault since I’m your responsible but, frankly, I DO NOT CARE. If we mess sandbox, it means we are doing the right thing: trying and testing things in the correct enviroment instead of pushing disasters in Production. And in the first 3 years of this management bugs dropped by 60%. All of this just to say that the problem is not the gamification (even if it can push towards a bad practice) or the guides or any tool available. The problem lays (IMHO) between SAP not wanting to loose customers (and honestly having an active community where people can find easy solution is a wonderful marketing -Try to find such active community and amount of information about Teamcenter ITK/API for Siemens ) and the silly companies/recruiters/bosses which set up such idiot requirements. Jeremy hit the nail right: I started to check who liked my content instead of how many did it. The problem is when not a sandbox is messed, but a live system and this happens (in my case at least I used a sandbox, but some people treat PRD as the best test system). And yes, technically speaking, it is not my problem if somebody else messes up a live system and gets fired, but when this could happen to a system, for which I am responsible, it becomes my problem. Since there is no way that I can influence anybody’s hiring decisions or monitor what others do (I am just a lowly external consultant) and considering that companies often aim at the cheapest possible resources (which receive little or no training and have a poor understanding of the very basics), the only thing I can do is, try to raise some awareness that providing good content to the right audience is a responsibility. Advertising SCN as a source to get a solution designed for you without you doing anything, but post, or as a substitute for basic training, or as a free of charge help desk is simply wrong on many levels. I can understand that we all wish the site to be as popular as possible, but this hurts the profession. I believe, if people are sincere about wanting to improve the quality of SAP consulting and making SCN a true community of professionals, spec-dumping and spoon-feeding needs to go away – otherwise points/Karma/reputation is just a tool to motivate people to generate content, not a solution for a better content quality. Up/down-voting by itself will simply not suffice. But again, it’s not the tool (some guides for dummies) but how you (generic!!!!!) use them. Still I say it’s little few SCN can do in this field. It’s a wrong concept of training and consultancy that should be eradicated. Sadly, the marketing is strong in this community (quote). SCN can do at least something in this field – by discouraging spec-dumping and spoon-feeding in general. Then the OP is left with the option to apply some problem-solving skills and test in a sandbox, armed with the hints he got from the thread and the guides, which he found, or request trainings and books, or ask a qualified person locally to perform the setup and receive some knowledge transfer afterwards. Discouraging some bad practices and dismissing the wrong expectations from SCN, could potentially trigger a very good quality of generated content (because the audience needs to be ready for that first) – content, where you can provoke people to use their skills, think of potential uses of a functionality, do some additional research, instead of following instructions. I am aware, that my view is unpopular – many parties benefit from the current state. Still, the causes for poor content – lack of training, no critical thinking, poor problem-solving skills, arbitrary targets on SCN participation (this one still shocks me, it is next to impossible to fully mitigate) – this cannot be solved only by applying a different gamification scheme. One of the added categories (https://jam4.sapjam.com/discussions/GsKVVyCEDA4ljPxnCCSyar) that was requested and not (yet?) implemented was “Shooting Fish in a Barrel (AKA Enabling Laziness)” for reporting the people who jump right on to a easily found solution (if actually did even a rudimentary search). Hopefully the limited gamification points system will reduce the enthusiasm for enabling our lazier members. Or we can get the new Category implemented. Maintaining the quality of our content is hard enough as it is. SCN can do at least something in this field – by discouraging spec-dumping and spoon-feeding in general. Yep, even though “you can’t fix stupid” in general SCN at least can try to contain the pandemic. I agree that ROE may need to be changed to state more specifically what the expectations are. This will provide the guidelines for the members and give more ammunition to the moderators. Let’s face it, with the current SCN demographic some “I-have-no-idea-why-but-ran-this-program-and-captured-screenshots” blog gets 1-2 negative comments/ratings from the community members who have a clue. And dozens of likes and “great blog!” comments from those who, as mentioned above, were never trained, don’t have basic skills and, to be frank, shouldn’t even be in their position. It is not even the SCN problem, it’s the industry problem. But either way in this situation expecting the community to regulate itself is not realistic. And then a moderator spots it, or some kind person notifies moderator, and it gets zapped. Exactly.I welcome the reloaded reputation program. I agree that points can cause a competitive environment, but they also encourage people to participate. Helping other consultants can be a motivation to participate in the Community, but maybe not strong enough. I believe the members that provide more correct answers and good content should have enough visibility. I have just read the comment from Simone, that recruiters ask for the applicant’s SCN profile in their resumee. It is a pity that someone can be discarded just for not being involved in SCN, but on the other hand, I think that this is a good incentive to take part in SCN, accumulating points, something that can be shown in a job interview. Even though it’s been roughly a month since the new community platform go-live, we have decided to put the launch of the new mission set on hold. Although the missions are ready to go, delaying their launch will keep the focus on resolving critical issues and providing the missing features the community is waiting for. Nice step taken by SAP Community. With point system competition starts and where there is competition there will be Cheating of some kind. No one wants to be second or third in race/competition everyone wants to be first always , at least winning. The very wrong thing humans are ever been taught is to fight and do competition and get ahead of all. Even I don’t suggest to have Karma points to be shown. When people will know that there is nothing that they will get they might will stop cheating and there will be quality contribution by community members in this forum.